Dane C. Streeter is the head of Family Legacy and Life Insurance Planning at Perennial Financial Services, specializing in how taxes and titling of assets play a huge role in one’s investments. 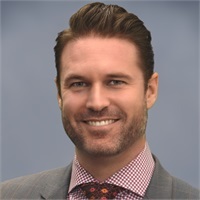 He holds the series 7 & 63 through LPL Financial, the series 65 (Investment Advisor Representative) through Perennial Investment Advisors and California Insurance which represents his Fiduciary Standard of Excellence to each and every client. Dane begins by putting together a comprehensive independent financial strategy for each of his clients. This strategy includes guidance in the many financial areas of life including retirement, investments, insurance, tax planning, and estate planning. Dane helps his clients pursue their financial goals by building and working with each client’s CPA and Attorney.